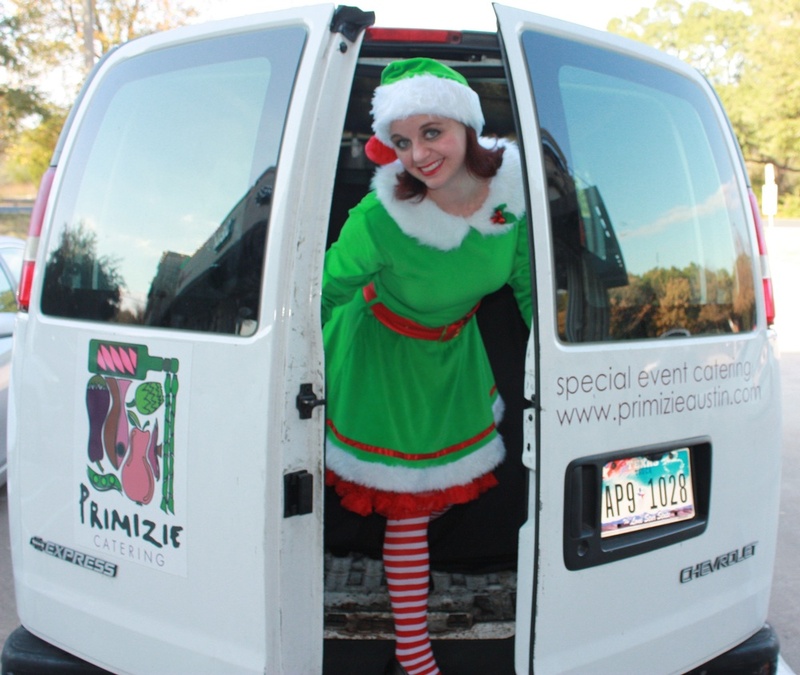 The Cheerful Elves of Primizie Catering have arrived in Austin for the Holiday Season. They will be spreading holiday joy all around Austin over the next 24 days. They are in Austin enjoying a break from the cold weather in the North Pole, though this is not a vacation. They will be busy delivering gifts, making charitable contributions, enjoying Austin's favorite holiday hot spots and popping up at parties.